Information, facts, news, tours and more. 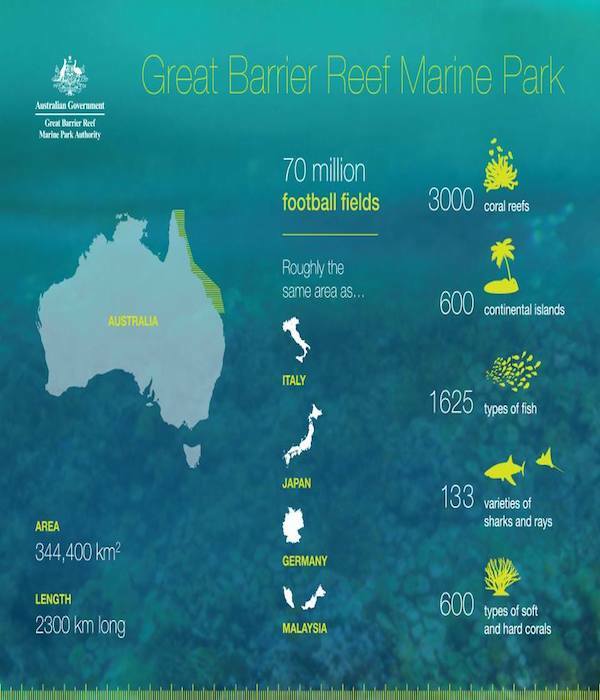 Australia’s Great Barrier Reef is home to the world’s largest and most complex coral reef ecosystem attracting hundreds of thousands of visitors annually. The Great Barrier Reef is a marvel to behold both above and below the water and consists of 2,900 individual reefs and 900 islands and coral cays that are an aquatic playground and home for millions of marine life. It is one of the world’s true natural wonders and an essential item on any traveller’s bucket list. Australia’s Great Barrier Reef is one of the Seven Wonders of the Natural World and the largest living organism on earth visible from space. The collection of islands and coral reefs form a barrier along Queensland’s East Coast, hence the name The Great Barrier Reef. The complex eco system made up of hard and soft coral is spread over 344,000 square kilometres in total; equivalent to the size of countries like Japan or Italy. The Great Barrier Reef also serves as a habitat and food source for millions of unique and threatened marine species. Scientists estimate that only 10% of the reef is ever visited by tourists while 90% remain untouched and undisturbed. The Great Barrier Reef can be found in the Coral Sea on Australia’s East Coast. 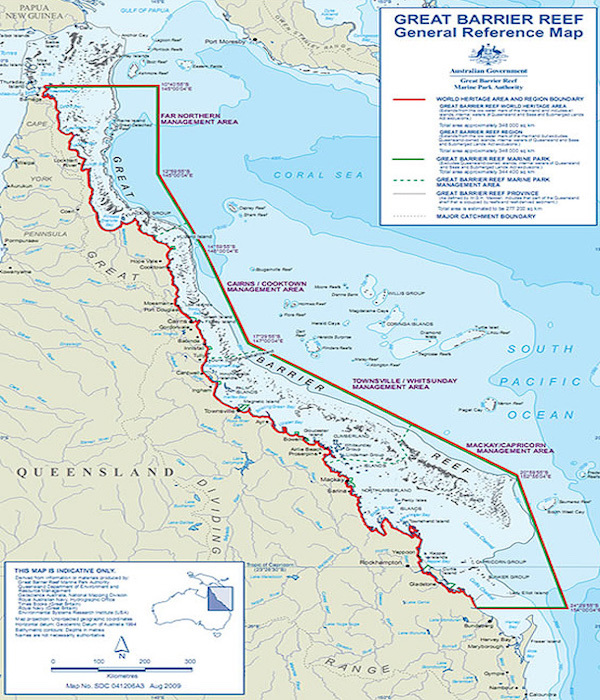 The reef is not a single entity or location but thousands of islands and reefs that begin from the tip of Queensland at Cape York to Bundaberg in the south. Certain stretches come as close to 15km offshore while other areas are hundreds of kilometres from the mainland. 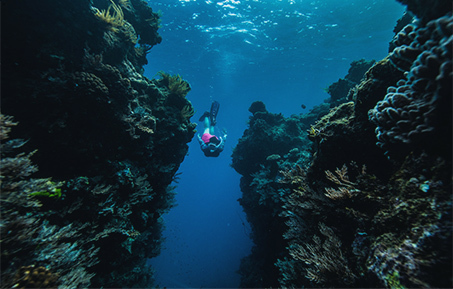 There are several towns and cities that can be used as entry points to access the Great Barrier Reef and we hope this guide is helpful to you in planning your next holiday to the Great Barrier Reef.